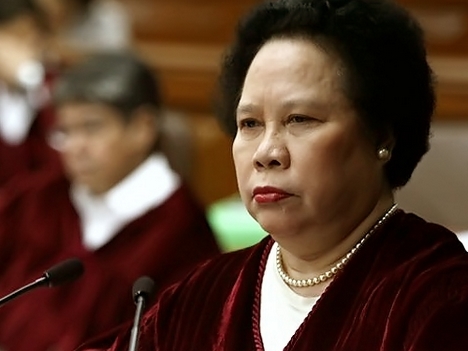 "Ladies and gentlemen, allow me to introduce myself to you as the only senator who has been diagnosed with lung cancer," the 69-year-old law expert said during a press conference held at the Senate building where she tackled several issues including the controversial Disbursement Acceleration Program or DAP, which the Supreme Court recently declared as unconstitutional. Although the disease is not spreading, Santiago shared that it makes harder for her to breath. "I don't know what the reactions of my enemies are. Maybe they will be happy because on one hand I might die and then they could get rid of me, but on the other hand I might survive and then I will get rid of them," she uttered. The outspoken senator, who in April last year called herself a "walking dead" due to her worsening health condition, admitted that she would undergo chemotherapy. The lawmaker is optimistic that she can recover following treatment and go back to work after six weeks. Aside from her lung cancer, Santiago is also suffering from chronic fatigue syndrome which forced her to resign as judge of the International Criminal Court in early June.